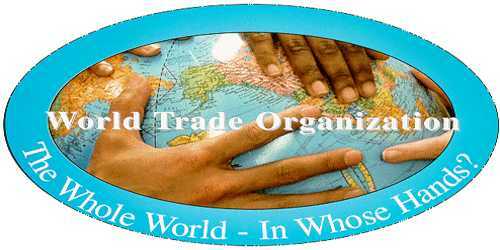 The World Trade Organization (WTO) is the only global international organization dealing with the rules of trade between nations. At its heart are the WTO agreements, negotiated and signed by the bulk of the world’s trading nations and ratified in their parliaments. The goal is to help producers of goods and services, exporters, and importers conduct their business. It is an organization for trade opening. It is a forum for governments to negotiate trade agreements. It is a place for them to settle trade disputes. It operates a system of trade rules. Essentially, the WTO is a place where member governments try to sort out the trade problems they face with each other. Roberto Azevêdo is the sixth Director-General of the WTO. His appointment took effect on 1 September 2013 for a four-year term. In February 2017, WTO members agreed to appoint Mr Azevêdo for a second four-year term, starting on 1 September 2017. The WTO’s origins began with trade negotiations after World War II. In 1948, the General Agreement on Tariffs and Trade focused on reducing tariffs, anti-dumping, and non-tariff measures. From 1986 – 1994 the Uruguay Round round of negotiations led to the formal creation of the WTO. In 1997, the WTO brokered agreements promoting trade in telecommunications services among 69 countries. It also removed tariffs on information technology products between 40 members. It improved trade of banking, insurance, securities and financial information between 70 countries. 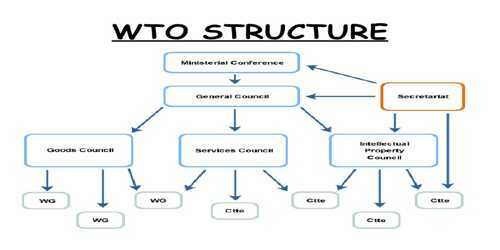 To join the WTO, a government has to bring its economic and trade policies in line with WTO rules and negotiate its terms of entry with the WTO membership. Oversees the implementation, administration, and operation of the covered agreements. Provides a forum for negotiations and for settling disputes. Reviews and propagates national trade policies. Ensures the coherence and transparency of trade policies through surveillance in global economic policy-making. Assists in developing, least-developed, and low-income countries in transition to adjust to WTO rules and disciplines through technical cooperation and training. Regularly assesses the global trade picture in its annual publications and research reports. Cooperates closely with the IMF and the World Bank. Agreement on Agriculture has three central “pillars”: domestic support, market access, and export subsidies. 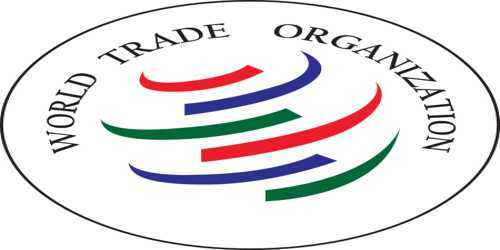 General Agreement on Trade in Services was established in 1995 to extend the multilateral trading system to service sector, in the same way as the General Agreement on Tariffs and Trade (GATT) provided such a system for merchandise trade. Agreement on Trade-Related Aspects of Intellectual Property Right sets down minimum standards for many forms of intellectual property (IP) regulation. Agreement on Technical Barriers to Trade ensures that technical negotiations and standards, as well as testing and certification procedures, do not create unnecessary obstacles to trade. Agreement on Customs Valuation adopts the “transaction value” approach and prescribes methods of customs valuation that members are to follow.